Looking to turn your next event into a timeless experience? We can help. 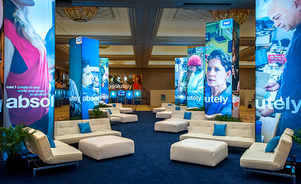 Over the years we’ve worked with countless companies to set the stage for internal and external events including press conferences, global sales meetings and fundraisers. Let us know what’s next on your events calendar and we’ll work with you to create an experience your guests will never forget. 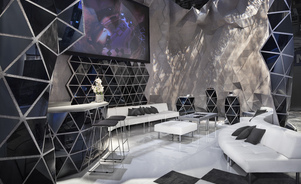 Exclusive spaces create a greater experience for special guests. At CES, highly qualified buyers went gaga when they were invited to the VIP lounge for refreshments and meeting a certain celebrity representative. Big annual meetings are one of our specialties. When your workforce converges from around the country — or world — you need more than just a smooth event. You need one that inspires and motivates. We can help. 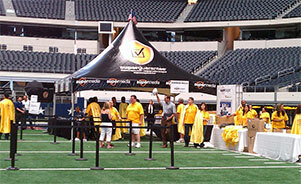 Events are a great way to promote your brand internally and externally. Launching a new product or service? Looking to inspire with a new focus? We’ve got you covered with a unique approach and a seamless experience. From executing activations with the Dallas Cowboys, Dallas Mavericks and Dallas Stars, we know that getting attention at national sporting events isn’t easy. The lines of fans at the experiences we created told us everything we needed to know. We’ve worked with countless companies to set the stage for internal and external events including press conferences, global sales meetings and fundraisers. What’s next on your calendar? 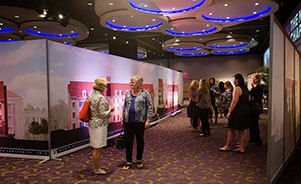 We’ll work with you to create an environment that your guests will never want to leave. 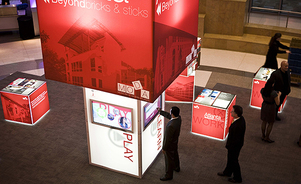 Immerse your customers into your brand and product offerings through temporary and permanent installations for your lobby, showroom or store. 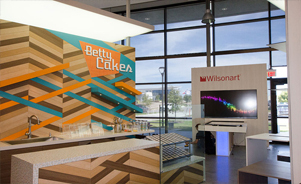 We put together quality retail experiences that allow consumers to see, touch, hear — even smell or taste! — your brand firsthand.